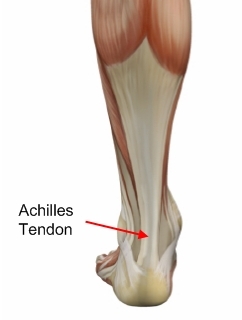 Achilles tendinitis is an overuse injury of the Achilles tendon, the band of tissue that connects calf muscles at the back of the lower leg to your heel bone. 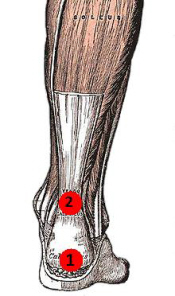 Achilles tendinitis most commonly occurs in runners who have suddenly increased the intensity or duration of their runs. It's also common in middle-aged people who play sports, such as tennis or basketball, only on the weekends. Most cases of Achilles tendinitis can be treated with relatively simple, at-home care under your doctor's supervision. Self-care strategies are usually necessary to prevent recurring episodes. More-serious cases of Achilles tendinitis can lead to tendon tears (ruptures) that may require surgical repair.